Hi friends! Dal makhani or dal makhni is a popular dish from the Punjab region of India . The primary ingredients are whole black lentil, red kidney beans, butter and cream. Highly nutritious, and very delicious dal . Wash well and soak sabut urad /Black gram whole and rajma / Red beans overnight in 750 ml of water. In a Pressure cooker take sabut urad/ Black gram whole and Rajma/Red beans (with the same water in which it was soaked), with salt, turmeric powder ,the red chili powder, finely grated ginger and finely chopped onion . Close the lid and place the pressure cooker on high flame. Once the pressure is formed, reduce heat to low flame, cook for twenty five minutes. Switch off the stove. Open the lid when pressure cooker is cooled and see if the rajma/Red beans are totally soft. If not cook on low heat till the rajma /Red beans becomes soft. Heat oil in a pan when the cumin seeds crackle, add powdered cinnamon, cloves, cardamoms, sauté for few seconds add garlic paste fry till the garlic paste turn light golden brown in colour, add ghee or butter. Add the pureed tomatos and cook over a medium flame till the mixture leaves oil. Add the above seasoning to the cooked dal /lentil and rajma /Red beans mix. Add some water if the mixture is too thick and cook on low flame for ten minutes. Add fresh cream , garam masala powder . Simmer on low heat till the dal / lentil is well blended. Serve hot garnished with coriander . 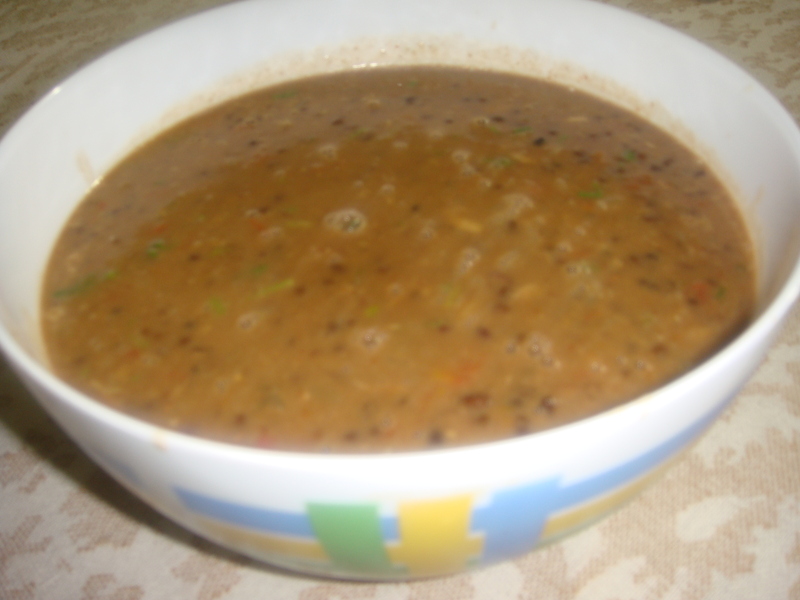 This dal is one of the richest sources of proteins and Vitamin B. Urad dal is also good for women as it has iron, folic acid, calcium, magnesium, potassium which makes it a healthy pulse.For those who do not eat meat or fish, have black gram as it is rich in protein which is much required by the body. All dry beans are an excellent source of dietary fiber. The same is true of red beans, which provide about 7 to 8 grams per 1/2-cup serving, depending on the variety. They’re a rich source of insoluble fiber — found mainly in the bean’s skins — which promotes digestive health and bowel regularity. Red beans support heart health in a variety of ways. Because they’re a low-fat, cholesterol-free source of high-quality plant protein, you’ll get roughly 8 grams of protein per 1/2-cup serving of red beans. enough folate helps lower blood homocysteine levels; having high homocysteine levels is associated with an increased risk of heart disease. Most foods that support cardiovascular health and help manage body weight are effective in protecting against type 2 diabetes, and the same holds true for red beans. Red beans may help protect against cancer in a number of ways.